Jane Greenstein explores opportunities available for information professionals in the interactive multimedia industry. 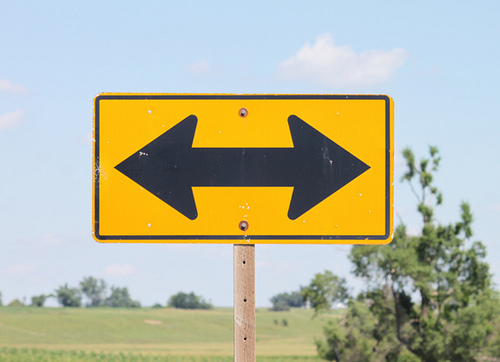 Many librarians and library students are at a crossroads. A career in librarianship can prove elusive, as library jobs are getting tougher to come by. At the same time the job market for library work is changing, another industry is growing at a rapid pace and is on a continuing hunt for talent. The industry I work in, interactive multimedia, involves the building, maintenance and/or marketing of web sites and applications include mobile phones and tablets. These projects require highly skilled workers from a number of disciplines who collaborate to conceive of and launch computer-based applications. How do librarians fit into this equation? Nicely! As a second year online Masters of Library Science (MLS) student at the University of North Texas and a full time web content strategist in Los Angeles, I have seen the skillset of the librarian overlapping with those of a content strategist. Genex, the company I work for, is an interactive marketing agency based in Los Angeles, CA. whose clients include Fortune 500 companies throughout the US. Think of building a website or app as similar to putting together a very intricate puzzle or designing a (very small!) house. A series of questions need to be answered: Why are we building this, who's going to use it, what is the message it wants to convey and most importantly, how should it function? Answering these questions and building the site or app are a team comprised of engineers, writers, graphic designers and other more specialised talents such as search engine optimisation specialists (which entails devising a strategy to improve search engine rankings), content strategists and information architects. What we share is an expertise in information presentation, retrieval and display. There are varying degrees of technical wizardry involved, but one doesn't need to know how to program to succeed in this field. The biggest hurdle for a current or aspiring librarian to overcome when changing careers is not knowledge but desire. It's rare to meet a library student who doesn't dream of working in a library. Many specifically pursue an MLS to avoid the corporate treadmill. Yet the gulf between the library profession and the private sector isn't as wide as one might think. Information professionals of all stripes seek to help their constituents - whether that be a university student writing a term paper or a client re-designing a website.